Buy a Hoop! - Hoop Cubed- Hoop Dance Classes in Houston! So you want to buy a hoop? Of course you do! But what kind? What tubing? What size? There are lots of different hoops and they are all perfect in their own way. Warning, they're addictive and you're always going to "need" at least one more. Poly Pro hoops: These are the thinner, lighter hoops that come in an infinite amount of colors. These hoops work best for hand tricks, like isolations and breaks and paddles. These are not as great for body hooping, as they're so light. HDPE hoops: These hoops look nearly identical to poly pro hoops, but they do have a few differences. Poly pro tubing is more likely to crack in extreme cold, where as HDPE is more likely to kink. Neither of these are really an issue here in Houston lol. HDPE also "absorbs" a movement where as a polypro is more stiff. HDPE and poly pro are virtually the same weight. LED hoops: These are the amazing light up hoops you'll see often at night at music festivals. These are often a bit heavier than regular hoops, because of the lights inside. These hoops are available in an array of tubing types. Mini hoops: smaller than regular hoops, these are used in pairs for tricks like the iso flower and thread the needle. Hoop size is just as varied as hoop styles. So for "on body" hooping (in which you'll use the PE hoops), the larger the easier. Most beginners will start with a hoop that when in front of them, reaches somewhere between the belly button and the chest. Body type is also something to take into account. I'm a plus size girl, so the larger hoops offer me more success. My best advice is to find whatever feels good for you, and ignore any talk you might hear about smaller being better. The perfect hoop is the one that makes you the best dancer. For off body tricks, using poly pro or HDPE hoops, hoop size becomes trickier. With off body moves, your arms are doing all the work, so the difference between a 36" hoop and a 32" hoop may be the difference between feeling great after a hoop class and having trouble lifting your toothbrush. Again, use the hoop that feels good for you. You may purchase one, then in a month feel like you want to size down. Here is a great chart from hoopsupplies.com to visualize. Where to buy a hoop? There are literally hundreds of hoop shops online, so I'll try to steer you in the direction of some of the ones I personally buy from. You are always welcome to search out other ones, or even start making your own hoops! PE beginner hoops: look no further I've got these, and for $25-$40! These are your basic, one or two tape hoops, great for learning waist hooping, shoulder hooping, chest hooping, and more. I take custom orders, or you can head over to Ataraxia in Old Town Spring, Texas (just north of Houston proper) and pick one up! LED Hoops: There are SO MANY LED hoop shops, and it can be really confusing on what you should get. Prices vary a lot too, which adds even more confusion. I've got hoops from Mood Hoops (www.moodhoops.com), ZL hoops (www.zlhulahoops.com), and I love them, but right now I am HOOKED on my Ultra Poi Ultra Hoop (another small business based out of Houston!). It's got the great aspects of a smart LED hoop (lots of different light colors and movements, SUPER bright), with a price that won't break your heart or your wallet. 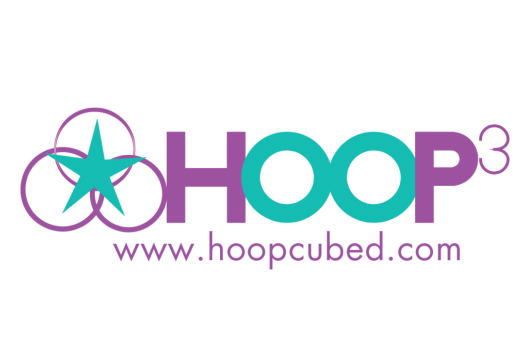 PLUS using my code HOOPCUBED you get an extra 10% off. Now only do they have the Ultra Hoop, but they have AMAZING LED poi, super cool clothes, even LED lighting you can use on your gear for camping and festival season. Do I want to decorate everything I own in LED lights? Yes. Yes, I do. Head over to my Instagram (HoopCubed) to see it in action! If you ever have any questions, don't hesitate to ask! I have hoops of all the different styles and sizes listed above, and more, so feel free to try them all out and see what feels best!